Check Out This Motivating Video For All Of You New To The World Of Car Modification! Working on your car for the first time is always very intimidating but you have to be sure not to let that stop you! Youtuber and car enthusiast TJ Hunt is here to let you all know that we all start somewhere. The best way to learn about your car is by actually working on it! To watch his motivating video click below! 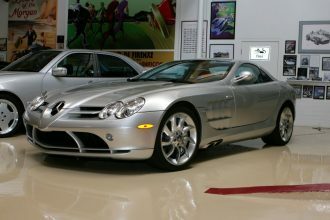 Leno Shows Off His SWEET Mercedes Benz SLR McLaren!